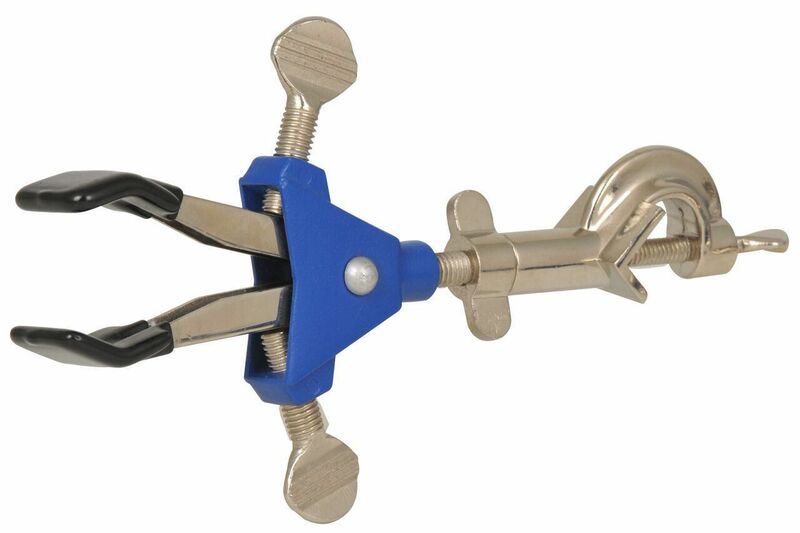 This durable clamp is made of powder-coated steel. The clamp has thread-fitted actuating joints and two vinyl-coated prongs. A spring-loaded clamp jaw with a dual-screw adjustment can fine-tune any fitting.